DENORA is international artist, female saxophonist and singer, composer, songwriter, based in famous Cannes in south of France. She plays her music for concerts, parties, clubs, presentations, TV shows, private and company events in French Riviera (Cannes, Nice, Monaco, St.Tropez, etc) and worldwide. Two songs of Denora reached top of european chart of independent music EURO INDIE TOP200 in 2018 and 2019. FOREVER – #2 EURO INDIE TOP200, January 2018. 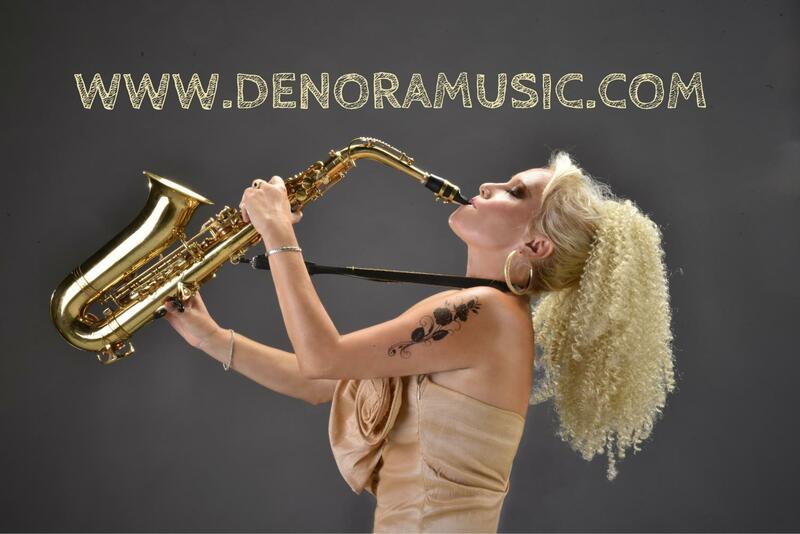 DENORA SAX SHOW is live music performance of original mix of Soft Jazz, Blues, Pop and Dance styles. As singer ans saxophone player, DENORA works with djs, duo or band of musicians, adapted for any kinds of live concerts and events. She is open for music collaborations with other musicians and labels for creating new songs. For booking of artist for your event, you can contact us by email or call us to get more information.